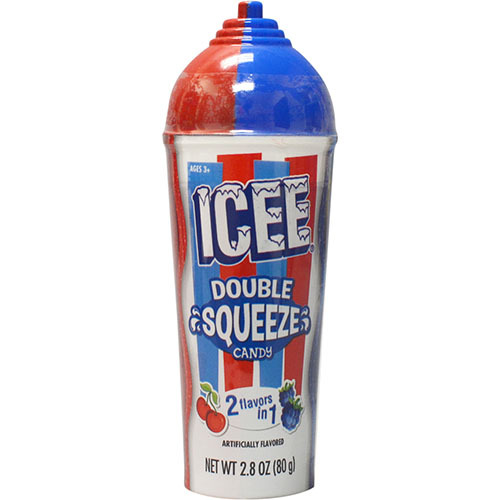 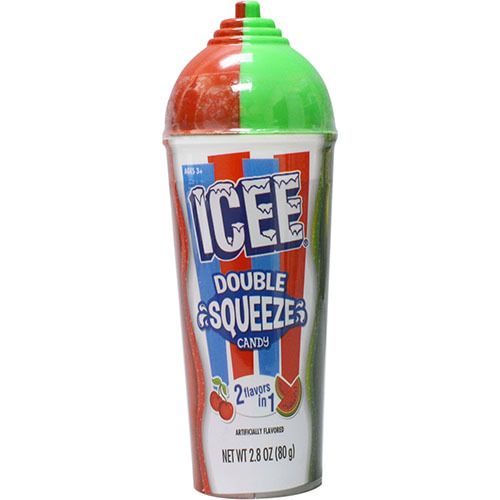 Excite your taste buds with ICEE® Double Squeeze Candy. 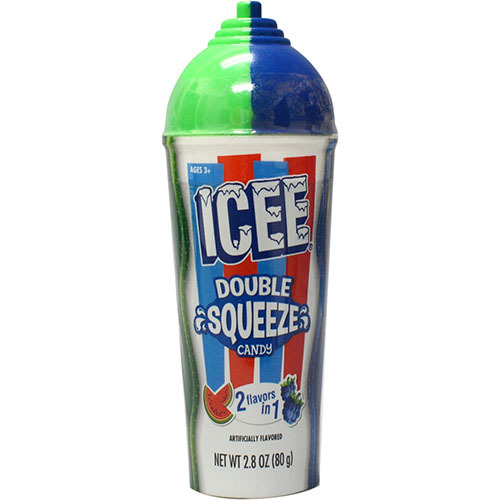 Two delicious gel candy flavors in one squeeze bottle. 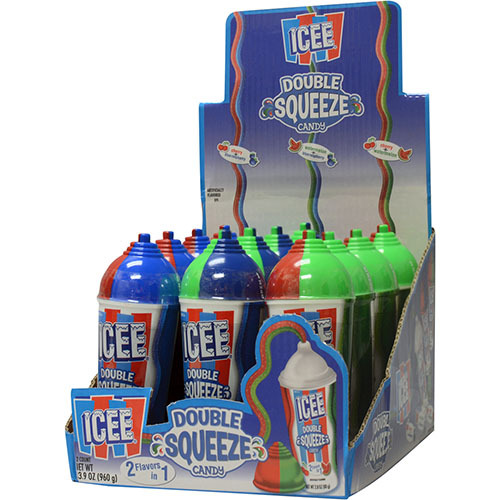 The assortment includes Cherry/Blue Raspberry, Cherry/Watermelon & Blue Raspberry/Watermelon.